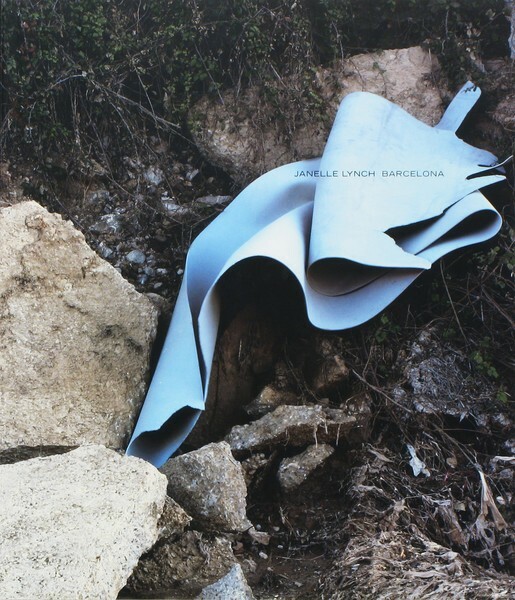 Book Review Barcelona By Janelle Lynch Reviewed by George Slade How do landscape and memory intersect? How does a visual artist describe the unique spirit of a place in photographs, this medium of ours that is so fond of surfaces and so ill-equipped to render the invisible except by metaphoric extension? Barcelona. By Janelle Lynch. Radius Books, 2013. Radius Books, 2013. Hardbound. 114 pp., 28 color illustrations, 10x12-3/4". How do landscape and memory intersect? How does a visual artist describe the unique spirit of a place in photographs, this medium of ours that is so fond of surfaces and so ill-equipped to render the invisible except by metaphoric extension? Photographer and writer Janelle Lynch has one answer, which she has articulated over two published volumes. Her approach involves a kind of emotive, psychological triangulation, a quest for meaning that ultimately leapfrogs over the more mundane goal of describing place and evolves into a very personal engagement with signs and symbols perceived in the material world. That encounter, ironically, ends up providing a deeper evocation of physical coordinates than one may have thought possible. Barcelona, by Janelle Lynch. Published by Radius Books, 2013. In fact, triangulation is a misnomer. As Lynch demonstrated in her first book, Los Jardines de México, four points of view offer a more compelling, cumulative portrait than three. Or two, or one, if you want to take that argument to its implied conclusion. Too many more points of view, or thematic approaches, might overcomplicate the issue (though one might argue that the inserted speculative anecdote by novelist Mario Bellatin—"A Landscape for Janelle Lynch"—constitutes a fifth perspective in Jardines). Lynch successfully incorporated a fifth perspective in the new book. Barcelona also gains from a deeper sense of self-implication (she moved to live in Barcelona for several years after her grandmother, who imbued in Lynch a special appreciation for viewing and framing the natural world, had taken sick just prior to her death). Finally, Lynch builds upon the first book with a more profound reading of the culturally-inflected landscape-as-text combined with actual texts of her own and citings of influences like Charles Burchfield, whose paintings summoning the animus mundi have directly influenced Lynch, Roland Barthes, Susan Sontag, and Wendell Berry. The landscapes of the first book have more "subject matter" in them as visual content, but the effect of the photographic and literary texts in Barcelona is more resonant.